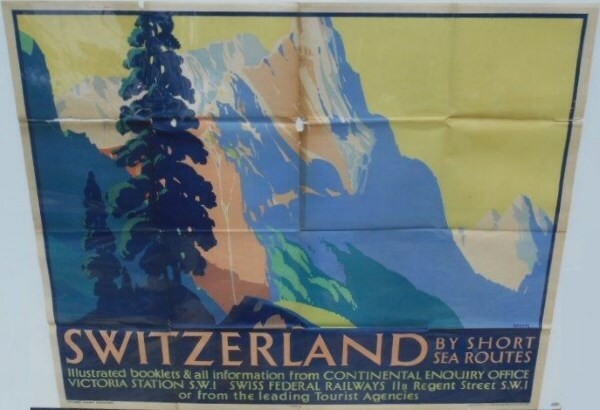 Lot 92 Q/R Poster 1933, Southern Railway "Switzerland by Short Sea Routes" by Griffin. Mountains and pine trees in a simple but dramatic impression of the Alps. Folds with small loss on central fold.